The origins and the key defining moments of the Cold War in Southeast Asia have been widely debated. This book focuses on an area that has received less attention, the impact and legacy of the Cold War on the various countries in the region, as well as on the region itself. The book contributes to the historiography of the Cold War in Southeast Asia by examining not only how the conflict shaped the milieu in which national and regional change unfolded but also how the context influenced the course and tenor of the Cold War in the region. It goes on to look at the usefulness or limitations of using the Cold War as an interpretative framework for understanding change in Southeast Asia. 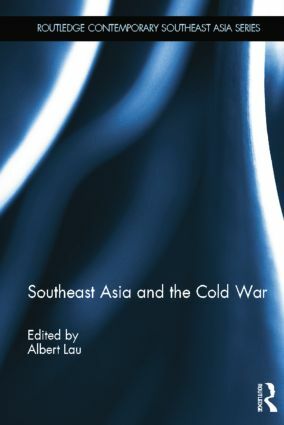 Chapters discuss how the Cold War had a varied but notable impact on the countries in Southeast Asia, not only on the mainland countries belonging to what the British Foreign Office called the "upper arc", but also on those situated on its maritime "lower arc". The book is an important contribution to the fields of Asian Studies and International Relations. "All of the essays in Southeast Asia and the Cold War offer new insights into how Cold War ideologies and superpower rivalry affected the course of events in Southeast Asia." Albert Lau is Associate Professor of History at the National University of Singapore. He is the author of The Malayan Union Controversy, 1942-1948, A Moment of Anguish: Singapore in Malaysia and the Politics of Disengagement, and a co-author of A New History of Southeast Asia.